Find the right type of disruptors. 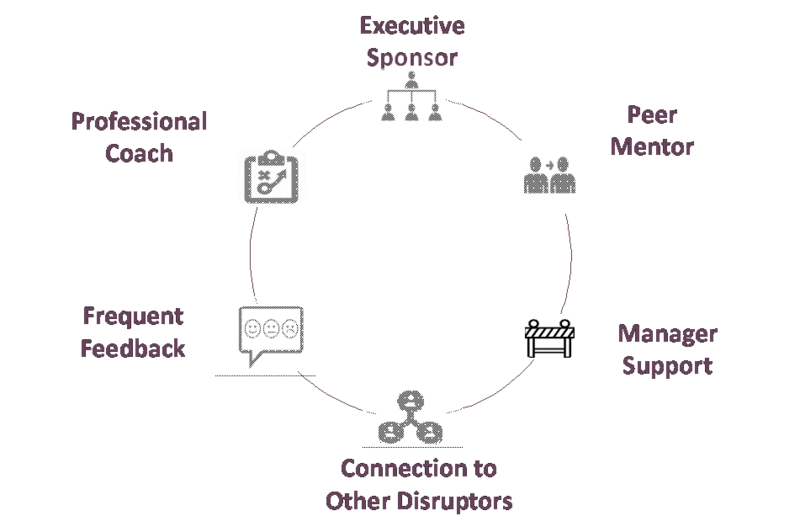 Engage disruptive talent in a way that aligns to their organizational commitment and readiness. Invest sufficient energy and effort to maximize the engagement and success of disruptive talent. In order to maximize the return on the investment in disruptive talent, organizations first need to ensure that there is senior leader commitment for innovation. That commitment must include dedicated funding for innovation. If an organization can’t check off these two mission critical items, they can still leverage disruptors. For example, they can engage external disruptors in idea generation activities like hackathons, or crowdsource their ideas through technology platforms. An organization can also consider forming an advisory board to help guide their evolution, borrow talent from more innovative companies to work on specific projects or consider trying a strategic interim position to test the waters. Organizations that are lower in commitment and readiness can still benefit from bringing in full time disruptors, there is just more risk involved, and they must be prepared to put much more energy and effort into making the investment a success. Organizations that have high commitment and readiness, are well positioned to benefit significantly from disruptive talent, as long as they can source the right people and provide them with the right support. A peer mentor ‘informal’ aspects of the organization. Connection to other disruptors –to avoid feelings of not fitting in/isolation. 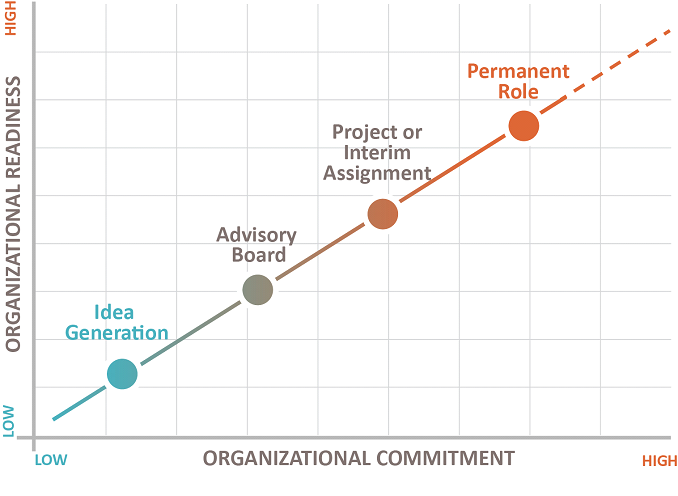 Establishing an innovation strategy with proper governance (if that hasn’t been done). Note: A full version of this article is available from LHH Knightsbridge. Michelle Moore is a Principal and Vice President, Business Development in the Career Solutions group at LHH Knightsbridge. Michelle has over 20 years of experience working globally with (1) organizations to use human capital to solve complex business challenges, and (2) individuals to maximize personal effectiveness and career success. ‹ CETA – So What?